Hmm, not all the time. I'm pretty defensive of my opinion, but I dunno. ._. 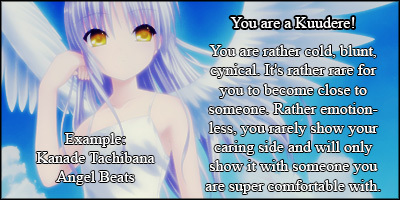 I guess.... pretty accurate though. It's surprising how one question can change your outcome. 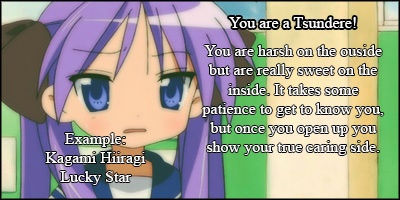 I thought I was a dandere because the dandere is 100% true to me. 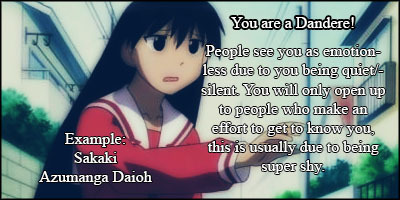 I'm more of a Deredere but I guess I'm like this a little bit. 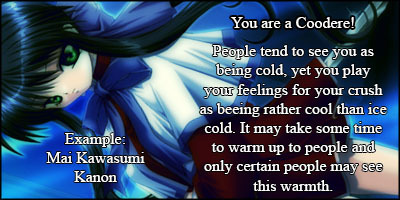 I did the quiz again and got this. 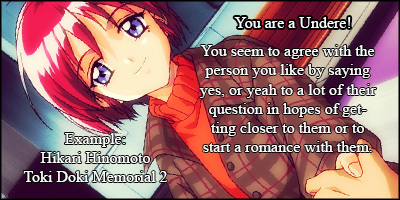 I don't have any crushes (besides fictional characters) so a lot of my answers were just guesses anyway. 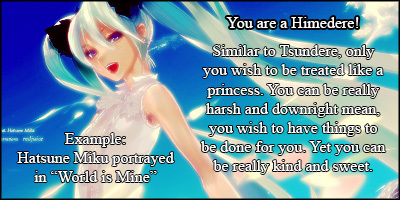 I don't like doing these types of quizzes but okay. 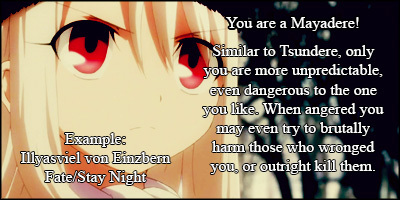 Subject: Re: What type of dere are you?